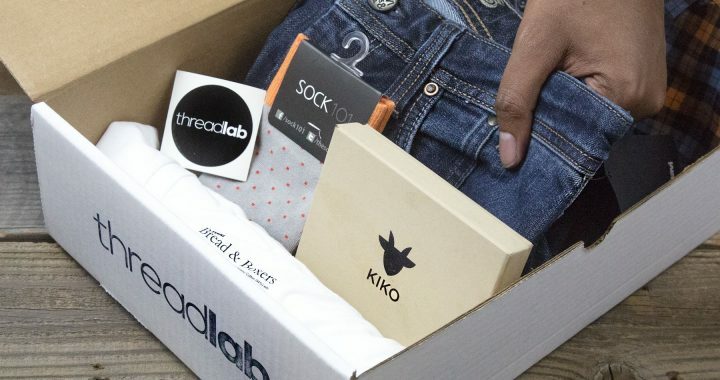 Tell us about you, where you live, where you’re from and how you got linked up with ThreadLab? I’m 36 years old, with 2 young kids. I live in Manhattan and work from home. A mutual friend connected me and Will a few years back. Turns out Will shares 2 of my favorite hobbies…golf and drinking! When did you launch your first company and how did the idea come about? I launched my first company back in 2002 right after college. The job market sucked so I figured it was a good time to start a business. I was 22 years old, living with my parents, and had basically no expenses. My childhood best friend was in the same boat as me we decided to start a business together. How we decided on men’s clothing I can’t quite remember but it probably happened on a golf course…while drinking heavily. What were some of the successful moments of your first venture and also share some embarrassing stories of what didn’t go so well. In the beginning there were no successful moments, just blunder after blunder. 191 Unlimited finally struck success when we decided to drive across the country and sell the hell out of our products. My co-founder and I packed up our car with samples and drove from NJ to CA and back, stopping in every major city to present our brand to the local boutique stores. We drove for 2 months and opened 50+ accounts. Without that road trip, we might never have reached the critical mass of accounts to get off the ground. Which brands do you currently own and operate? Are you planning to launch any new brands/products in 2017? I’m currently working on wine glasses that say funny things on them. What’s the worst idea you’ve ever tested in the market? I once made ties with skull prints on them. They sounded cool in theory and they looked good but they didn’t sell at all. Lesson learned, people don’t want ties with skull prints on them. I think I still have them in stock. What do you like most about running your own e-commerce companies? I love the freedom to do whatever I want and work from wherever I want. Tim Ferris’ 4 Hour Work Week (actually given to me by Will Hench) is an inspiration and I try to automate all aspects of my business so I can focus on things that are fun to me. Talk about some advice that could help new entrepreneurs looking to get into e-commerce or apparel businesses. Before you spend time and money making your product, first think about where you plan to sell the product. Too many people approach me with: “If I build it, it will sell.” That’s rarely the case. You have to push your products out to potential customers, they won’t just show up on your doorstep. Where can we find your brands and keep up with the new projects you’re working on?